Kotlowski, W.T, Koolen-Wijkstra, W.M, & Malek, A. (2016). 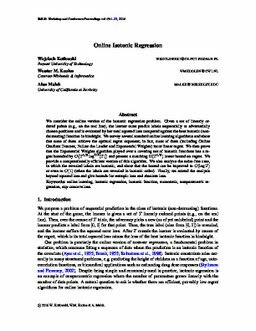 Online isotonic regression. In V Feldman & A Rakhlin (Eds. ), JMLR: Workshop and Conference Proceedings (pp. 1165–1189).